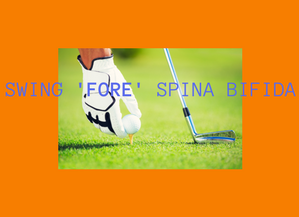 Thank You to the 40 golfers who attended Swing ‘FORE’ Spina Bifida that was held on Sunday, March 10th. It turned out to be a windy but fun afternoon. Congratulations to the Winning Team of Dennis Albert, Dan Hartmann, and Paul Weeden. A shout-out to Dale Foltz for being the “Closest to the Pin”.